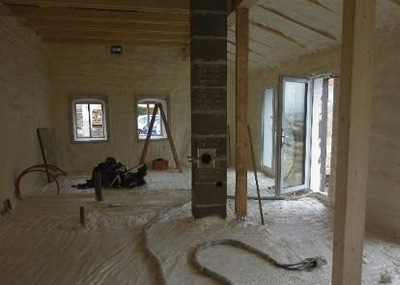 What is spray foam insulation? How can it be beneficial for me? 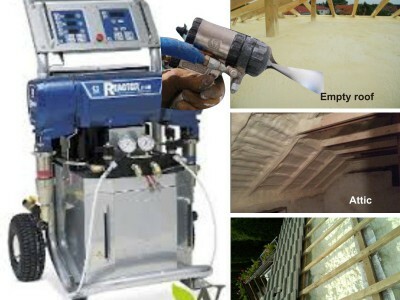 Spray foam insulation as a technology is a rather modern innovation that has numerous advantages compared to the traditional board insulation technology. 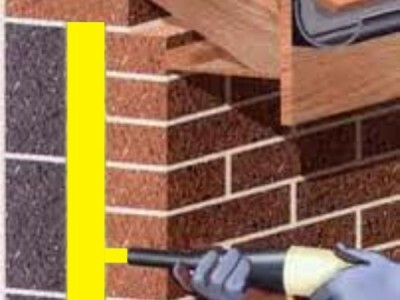 Consider the time to fix the boards on the surfaces, the tiny (but almost inevitable) gaps between adjacent boards, not to mention the additional time, when we have to deal with irregular shaped surfaces (measuring, cutting, etc.). 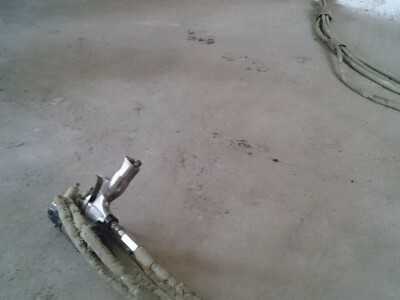 Using insulating boards will increase the amount of labour, which will eventually increase the „human error” factor. Mineral wool insulation works good as well, but because it absorbs moisture thus deteriorates the efficiency of the insulation. 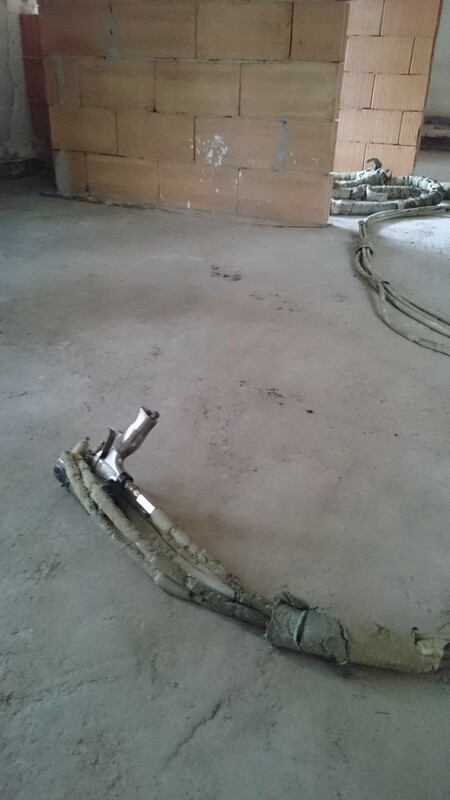 The sprayed foam insulation prevents the risk of mice moving into the property as well. The foam is applied on the surface through a special spray gun. When meeting with air, the foam will expand and become rigid. 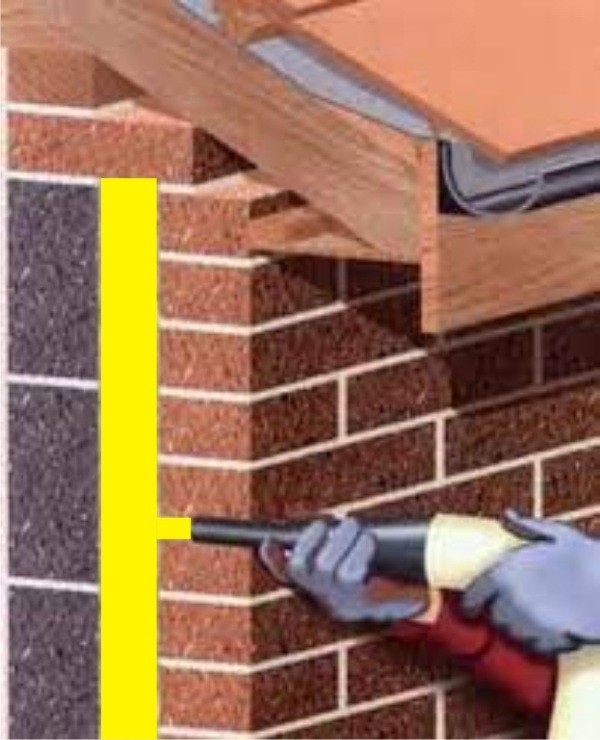 A layer of 2-3 mm foam will expand to 80-100 mm hard insulating layer within 60 seconds. Its biggest advantage is that it expands towards all directions, meaning it fills all gaps, cracks. 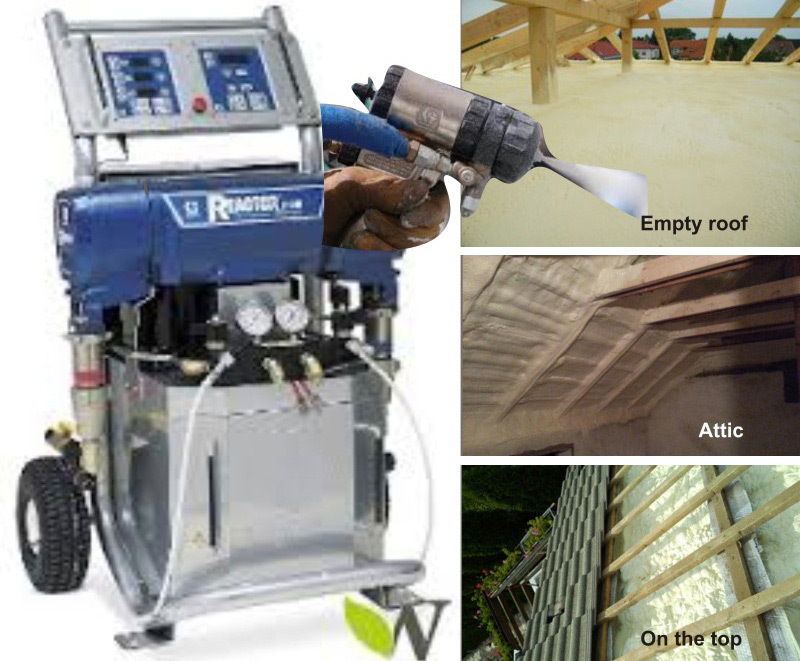 Also, because of the use of a narrow spray gun, even the hard-to-reach surfaces can be treated. 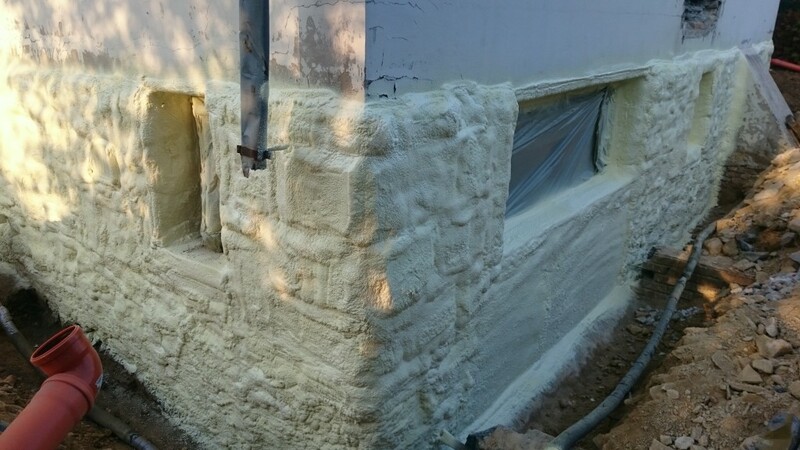 The sprayed foam will stick to the treated surface with no gaps whatsoever in between the two layers (the dried foam and the wall), preventing any condensation or mould occurrence on the wall. 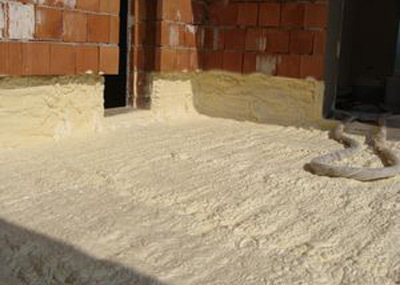 Also, as the dried foam is completely waterproof, it will act as damp proof insulation as well. 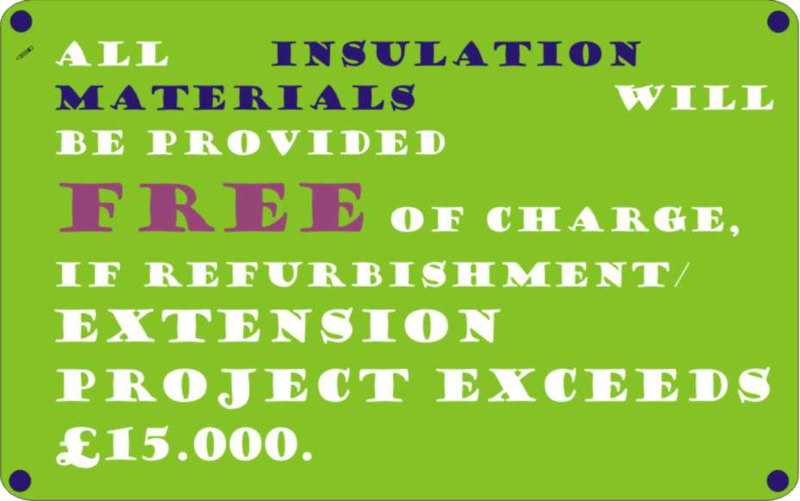 Excellent insulation quality, simple and easy to apply. 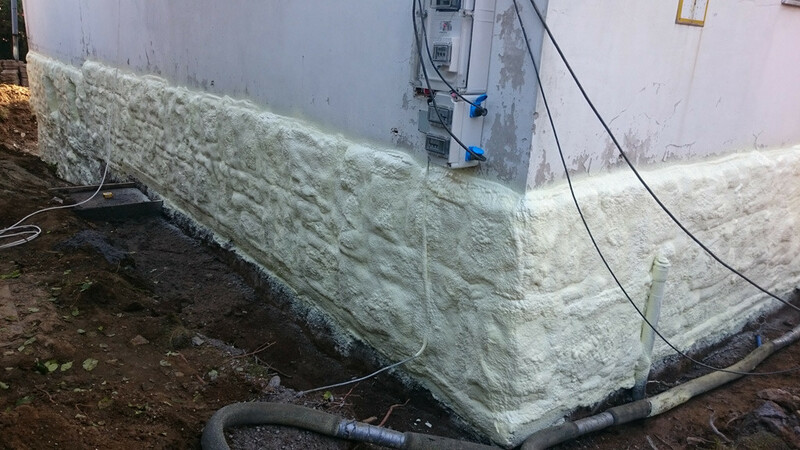 We use moisture-resistant, closed-cell foams that could also work as waterproofing (in some cases this method will make injection redundant). It can fill all gaps and cracks, ensuring a CONSISTENT LAYER (as opposed to the insulation boards, that will ALWAYS have tiny gaps between the adjacent boards), that will prevent thermal bridging and water leakage. 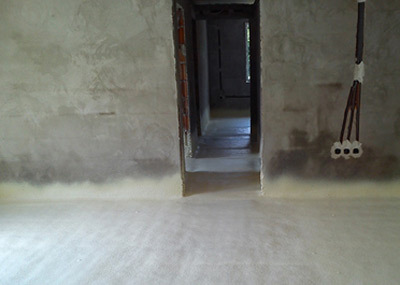 Mineral wool insulation is good, but it absorbs moisture thus deteriorates the efficiency of the insulation. 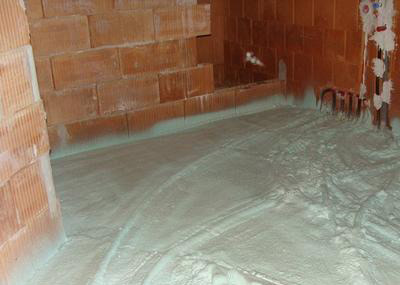 The sprayed foam insulation also prevents the risk of mice moving into the property. To have a complete picture about the importance of eco-conscious building solutions, please go to our News page.  If you have any questions or want to contact us, leave your contact details and notes here.